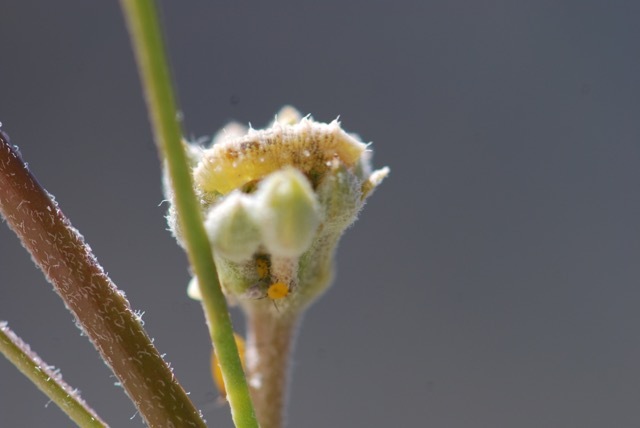 Aphids are a sure sign of spring and with aphids come a host of other insects that depend on them for food. Take this insect near the bright orange-yellow oleander aphids on the rush milkweed. 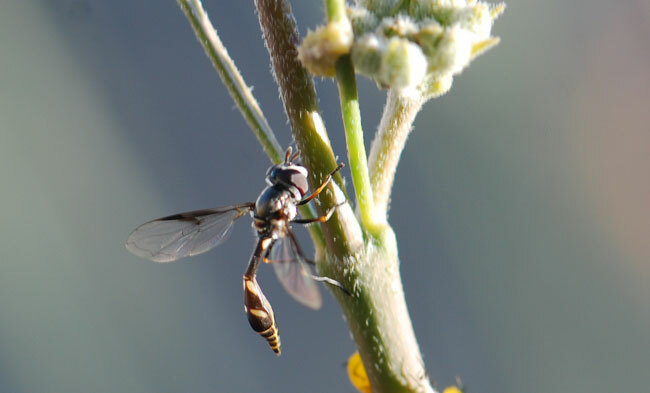 It looks a bit like a wasp with its ultra-thin "waist", but its actually a fly, becuase it has two wings rather than four. A few seconds before it laid an egg among the aphids. 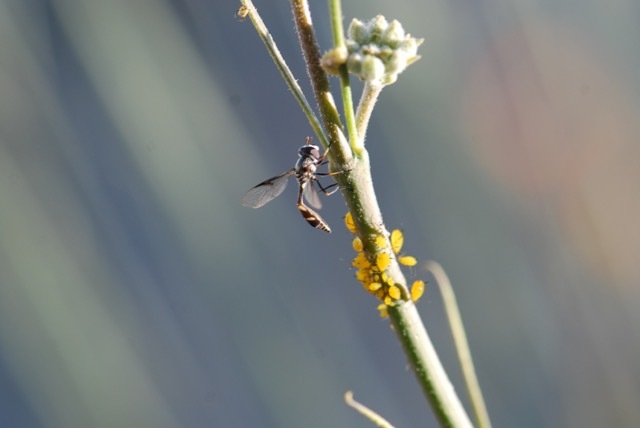 It is Dioprosopa clavata, a type of flower fly (family Syrphidae). Another common name is aphid fly, because its larvae eat aphids. 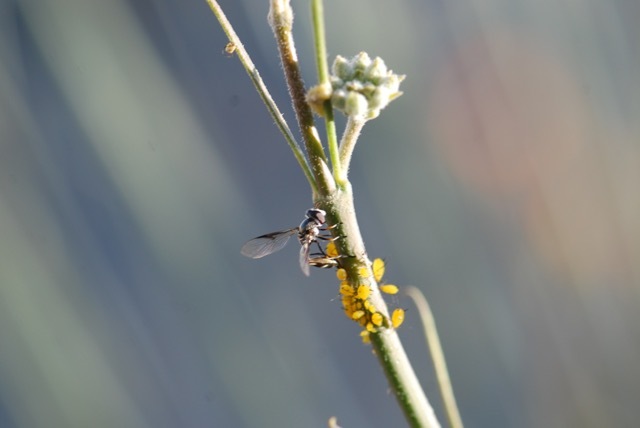 In fact, if you look up a bit on the stem to the right of the fly, there's an older flower fly larva. Here's a closer view of another flower fly larva sitting on the bud of a rush milkweed flower. The larva will pupate soon and become an adult aphid fly, so the cycle will continue. It is the life cycle of a family of specialist flies, based entirely on a few aphids on a milkweed plant.